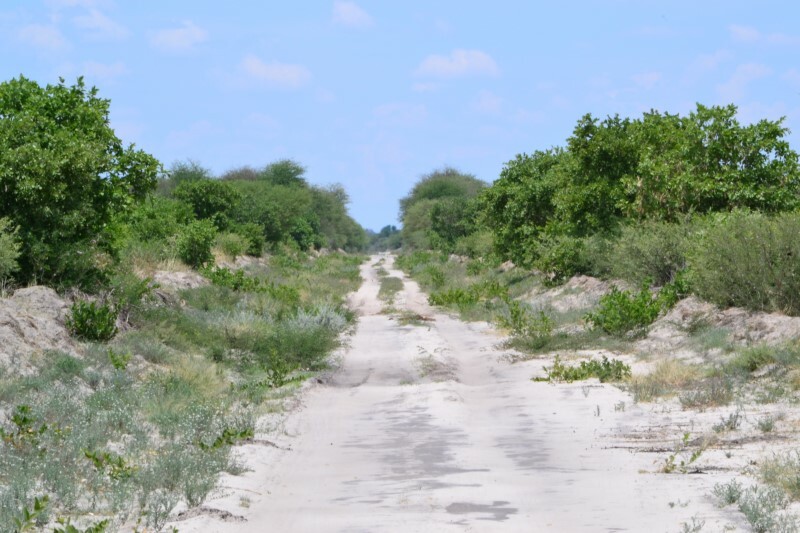 Self-drive safaris through Botswana’s wilder regions have become more difficult because of the limiting effects of veterinary fences combined with the growing number of concessions in previously “open” areas. But there are still plenty of places where you can explore on your own. It was a close call, all this trying to relive the past on one of the planet’s largest salt pan complexes. But, more about that later. 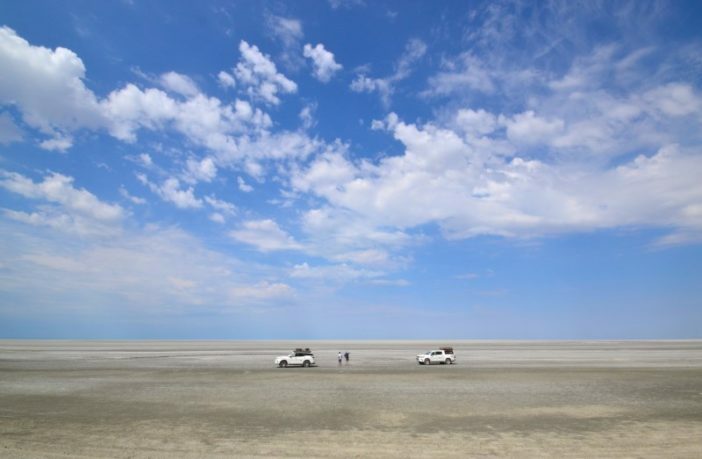 For now, we’ll continue from where we left off on our “Wild Botswana” trip – having visited Lake Xau, the Central Kalahari Game Reserve and Lake Ngami. Now, four truly magnificent destinations and a good sprinkling of adventure awaited us. First, we headed north-west to experience something completely different: a time travel all the way into the bowels of the earth. The first part of the road to the Gcwihaba Caves. It takes 4 to 5 hours from the A35 tar road on a mostly easy 143km drive to Gcwihaba (Drotsky’s) Caves. The initial open track becomes an even easier tweespoor from the marked turn-off southwards, but once past the borehole turn-off, a section of very thick, red sand across low hills guards the beautiful fossilised valley that channels the splendid, meandering tweespoor through the Gcwihaba Hills to the gate house. The lack of signage made it difficult to find the designated campsites close to the main entrance of the caves, so we were happy to get directions from construction workers we came across. 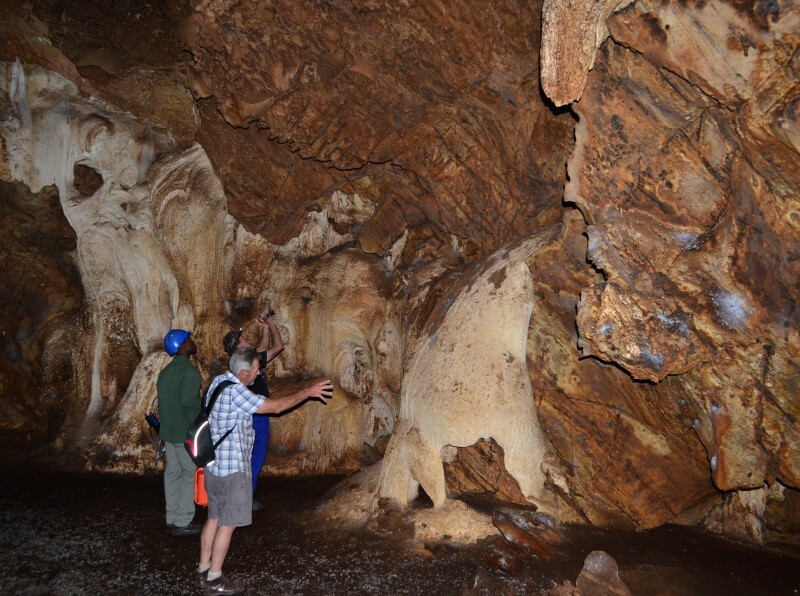 The interior of the caves is a geological indicator of the evolution of the Kalahari Desert. 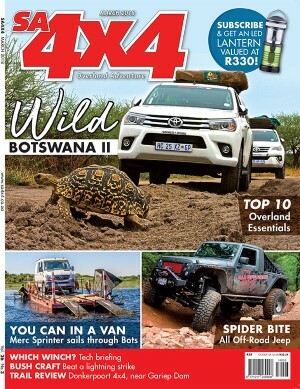 For the rest of this enthralling story, grab a copy of the March edition of SA4x4 magazine. The full twin loop of our Wild Botswana journey, starting at Mopipi. We camped on all 17 nights, but did not need to pay for three nights of “wild camping”. 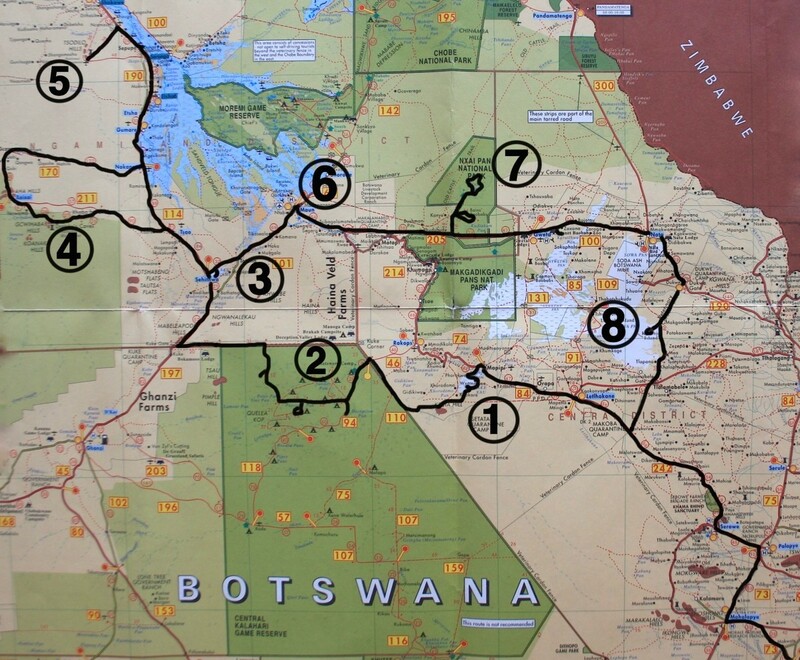 It was easier, and cheaper, to book and pay in Botswana for entry and camping at the Wildlife offices in Letlhakane and Maun, and at the Xomae office in Maun. Of all the sites, the worst mosquito nest by far was in our first and last campsite, in South Africa. Our top three designated Botswana campsites were Okavango Swamp Stop, Sitatunga and Nxai Pan NP South Camp. More than ever before, the Hilux deserves its acronym of two positively agreeable words, in the same year that it celebrates 50 years in South Africa. The Hi-Lux is now truly a luxurious SUV. It may not be aesthetically agreeable to everyone, but is definitely a very tough vehicle, with a proper “bak” to go. This was probably the best long-distance drive I have ever experienced in a Hilux. Okay, it was carrying a perfect load of camping equipment, fuel, water and tinned food. It was stable and at the same time comfortable over rough terrain, and its dynamic behaviour on fast sand tracks, open gravel or when dodging potholes on the tar was admirable. During the more mundane types of driving, like cruising on a good tar road, it presented another highlight: the seemingly effortless work triggered by the 6th gear. It sailed, even when the right foot was barely touching the pedal. Yes, sir, this bakkie has come a long way since it got its first 5-speed box and independent front suspension more than three decades ago. So, all this easiness tells us something about its grunt. This Hilux pulls from very low, and with all that torque (420Nm) coming when you want it most, the bakkie just keeps on pulling. Sometimes, getting caught out by the sudden change from an easy, hard tweespoor to a hot sandpit that seemed to go on forever, the turbo diesel becomes the most forgiving attribute of the whole package. Not to mention the rapid switch from two- to four-wheel drive on the go all thanks to a dial, which is one of the most obvious mechanical changes made to the new Hilux. With this turning knob, though, some irritations from the days of the gear stick remain when getting out of low-range territory. On occasion, getting the “message” through for the transfer box to let go required some straight line movement backwards and forwards with the vehicle. We never got tired in a cabin that is spacious and well-insulated against noise and dust, and road noise on the General Grabber AT3’s was never an issue. We enjoyed the touchscreen infotainment centre, even though it was mostly used to keep an eye on the driver’s “eco” performance. In fact, this was the mode I used everywhere. In the end, the best fuel figures were 9.86𝓁/100km, and the worst 11.24𝓁/100km, with an average of 10.5. Remember, this was with a rooftop tent. All in all, the 4500km trip in a variety of conditions underlined the fact that the top-of-the-range, manual Hilux is hardy, very predictable and a pleasure to drive. In the right hands, it’s easy to understand why it remains the country’s top-selling bakkie. The fitment of a roof rack was a big plus on this adventure, allowing us to mount a rooftop tent on the Hilux and a variety of gear on the Fortuner – including a table, awning, potjie holder, jerry cans, and a spade. There are many more options. Most often wood was carried on top of the roof rack, keeping it out of the vehicle interior, along with other bulky, usually dirty items like our groundsheets. The clever modular engineering of these racks means they are assembled from stock parts to fit many vehicles. This makes them compact to transport, and importantly allows for some flex in line with that of the vehicle in rough terrain. This is unlike solid welded units which can shear after repeated cross-axles, or, even more expensively, transmit shearing forces to the vehicle on to which it is bolted. Front Runner racks are both sturdy and lightweight, being made from T6 aluminium with a black epoxy powder-coated finish. The Hilux unit fitted, which is 1165mm wide by 1358mm long, weighs only 23kg all in. The kit comprises a perimeter frame and laterally mounted slats. Mounting feet (in the kit) are made from black powder-coated 3CR12 stainless steel and slide into a supplied channel. The feet are compatible with most off-road canopies that come standard with tracks. Alternatively, Front Runner have their own tracks available to mount a rack to your canopy. In our case the RhinoCab canopy fitted to the Hilux features a welded channel, into which the rack feet were slid and fastened. T-slots cut on the inner surface of the frame and into the load-carrying slats take a standard 8mm bolt head and allow for the fitment of a variety of Front Runner accessories in many configurations. It’s easy to change your layout too. These four low-profile (30mm high) stainless steel brackets and bolt/lock nut set are all that’s required to mount Front Runner’s roof top tent including most other roof top tents available in the market to the Slimline II rack. Also look out for Front Runner’s quick release tent mount kit if you frequently remove the tent when not in use. Light is a necessity when rough camping, and this 100mm work lamp, which can be fitted anywhere on the roof rack, cleverly features a power inlet (to use the light) and outlet (to power other 12V accessories as required). It is basically an extension of the vehicle’s internal 12V power socket, so, depending on the vehicle the user must still switch on the vehicle to use it. Vehicles equipped with a dual-battery system and additional power outlets would not require the ignition to be turned on. The Hella 3m extension cord makes for added convenience. The unit is supplied with a tiltable mounting bracket that can be fitted to the front, rear or side of the rack, providing light wherever it is needed. More lights can be added to the roof rack and connected from the main light. A sturdy, well-balanced and lightweight camping table is not easy to achieve. Also, camping tables tend to take up a lot of space. This one, with its 3CR12 stainless steel work surface, black powder-coated aluminium outer frame and fold-out legs, has a top surface area of 550mm x 1130mm and stands 734mm high. It slots underneath the roof rack on a set of stainless steel slides and is held in place with a proprietary latch. It’s very neat and strong, but needs to be slid back into place with care (total weight of 10kg). Build quality, space utilisation and convenience are right up there on this accessory. A quality long-handled axe with an ash handle and carbon steel blade, here well secured in a strong lockable stainless steel bracket for the head, with a rubber bracket for the handle. We used it for a range of purposes, including chopping wood. I would add a large-toothed hand-saw to the kit list, as these are well suited to cutting the Miombo bushveld of southern Africa, whether for firewood or to clear a path for vehicles. Front Runner has thought of everything for your camping comfort, and offers a neat aluminium ladder with nine telescoping sections that extends fully to 2.6 metres ­– perfect when you need to load up or access anything on the roof rack. Purchase along with a set of ladder brackets (R150) to ensure the operation is safe every time. Tentco provided tents, deck chairs and ammo case covers. The new Deluxe camping chairs with their fold-out trays on the right-hand-side, and compact, removable hold-all bags on the other side, turned every campsite into a grand sitting room. Our sleeping quarters consisted of a rooftop tent as well as a Junior Bow Tent on the ground − each complete with canopies for extra protection against the sun or rain. Materials used on the Tentco gear are top notch. We used the slimmest rooftop tent in the range (1.2m wide), which opens out (after the PVC cover is removed) to give a 2.45m-long sleeping platform with a roof height of 1.3 metres. Folded up it is 20cm high, and total weight is 54kg. The tent sits on a 9mm-thick marine ply base, and the Howard Safari 260gsm Ripstop canvas material is hard-wearing, and treated to be UV-, rot- and mildew-resistant. The 19mm aluminium-pole inner frame supports the structure, with high-tensile spring steel rods holding out the flysheet. The YKK zips throughout complete the picture. The ladder runs in a sliding track. Small gaps at the central pole hinges let in a few mosquitos thwarted by the window netting; a problem quickly solved by stuffing clothes into the aperture. The optional hanging cubicle would add to the convenience of using this rooftop tent. These great little units are compact, feature 16 channels, and with their long battery life of 30 hours gave us decent intervals between charges. Range was typically 1km, and is theoretically 2-6km with the optional extension aerials and magnetic mount kit we were given. No operating licence is required. Power output is 500mW, and the features include a rapid plug-in charger, 1600mAH battery pack, and low-battery alert. This piece of equipment proved to be a lifesaver in many ways. The original mandate was to keep it handy and charged, in case of a drained vehicle battery requiring a boost to start. However, during stopovers, we needed all the extra charging capacity we could muster because of the heavy amperage demand from the 60-litre fridge, and the need to charge batteries in photographic equipment. To overcome this problem, the solar panels were mounted to the roof rack to charge the battery pack during daylight hours, and the vehicle battery supplied power to the fridge when we were driving. During all stop-overs, the battery pack was immediately brought into play, as 220 volt supplies were seldom available during our expedition. There are two parts to this vital off-grid accessory: first, a lightweight 120W solar mat comprised of six 20W monocrystalline C60 solar cells that fold down to a compact 40x30cm size, encased in a hardy protective case with a carry handle. A 12V digital, five-stage 15A PWM (pulse width modulated) weatherproof controller handles solar inputs. It is supplied with 50A heavy-duty Anderson-style plugs, a 5m twin-core extension lead and a 0.8m connector lead with battery clamps. The second part is a 44 Amp Portable Power Pack in a robust ABS plastic housing, able to charge mobile devices and run a 12V DC fridge and lights. Input options include 240V AC, 12V DC (cigarette socket) and solar (Anderson plug). It features a 5V USB port, digital voltage and amperage meters, and individual input on/off switches with LED indicators. This equipment is a must if your travels take you off the grid for long periods of time. It is a versatile power source with many applications. The bakkie’s strong aluminium canopy was like an unsung hero; it worked so well – just like the vehicle it was fitted to – that we took its efficiency for granted. It offered excellent security (key-alike locks), very easy three-door access (all on twin gaslifts), and with its integrated positive pressure vent, had good dust-busting properties. In addition, it gave things inside the load bay great protection from the sun: it’s a cooling shell of note. The multi-chamfer frame, rear door and gullwing side doors are all made from 3mm automotive grade aluminium, which offers great strength (the roof carries a load rating of 250kg) yet is lightweight – 60-65kg for a complete unit. The Rhino-Cab is the flagship of the Rhinoman canopy range, featuring solid, waterproof, nylon door hinges, full roof rails, toughened rear safety glass and a sliding front window. Optional accessories include side sliding windows (R1950/set), a kitchen unit (R1395), an aluminium roof rack (R6995 – double cab), an ammo box slide (R1455), and a stainless steel table (1160mm x 770mm) at R1850, with a carry frame that bolts to the interior underside of the canopy (R1395). This quality piece of kit carries a two-year warranty and is offered in a range of standard colours or a combination of them (white, light beige, sand beige, medium grey, dark grey, black); or add R2800 for vehicle-colour matching. Both our Fortuner and the Hilux were fitted with the 265/65 R17 General Grabber AT3 tyres, which performed without fault (and zero punctures) in medium-to-rough conditions over 4500km, of which more than half was on tracks and poor gravel roads. There was no jagged-rock climbing, but lots of deep sand, which was an advantage for these tyres on 17-inch rims. Grip on tar (60-120km/h) was good, even at 2.4 bar pressure; the ride was soft, they were secure in the wet, and they generated very little road noise. Gravel roads (20-100km/h) gave excellent grip in both the wet and dry, at an inflation pressure of 2.0 bar. In thick sand and mud, deflated to 1.5bar, grip was exceptional. Pressures higher than normal worked on our loaded vehicles, keeping the sidewalls clear of sharp roadside hazards. These tyres come highly recommended.